Roller discos have now finished for the summer and We will return 8th September 2019. Flowskate has been established since 2007, and is your first stop for professional skating tuition, roller discos and skating birthday parties. Leo Oppenheim has been skating for 20 years and has eight years of qualified experience in teaching the full range of skating disciplines, both on an individual basis, and to classes and parties. Flowskate is certified by both the ICP and the BRSF in skating instruction and has a wealth of experience teaching classes and events in schools, communities and leisure facilities throughout the UK. Any questions? Visit our contact page, get in touch and one of our team will get back to you as soon as we can. Flowskate Roller Discos are a fantastic way to learn the basics of inline skating and generally have fun! Our sessions are tailored for every level of skater from the complete beginner to the more experienced rider looking to learn something new. At Flowskate Roller Discos we provide skate hire, as well as qualified tuition, the latest chart music (we take song requests! ), awesome disco lighting and a variety of games to suit all levels of skating ability. We also cater for Birthday parties on a regular basis and events away from our normal centres too, so please contact us if you have any enquiries. 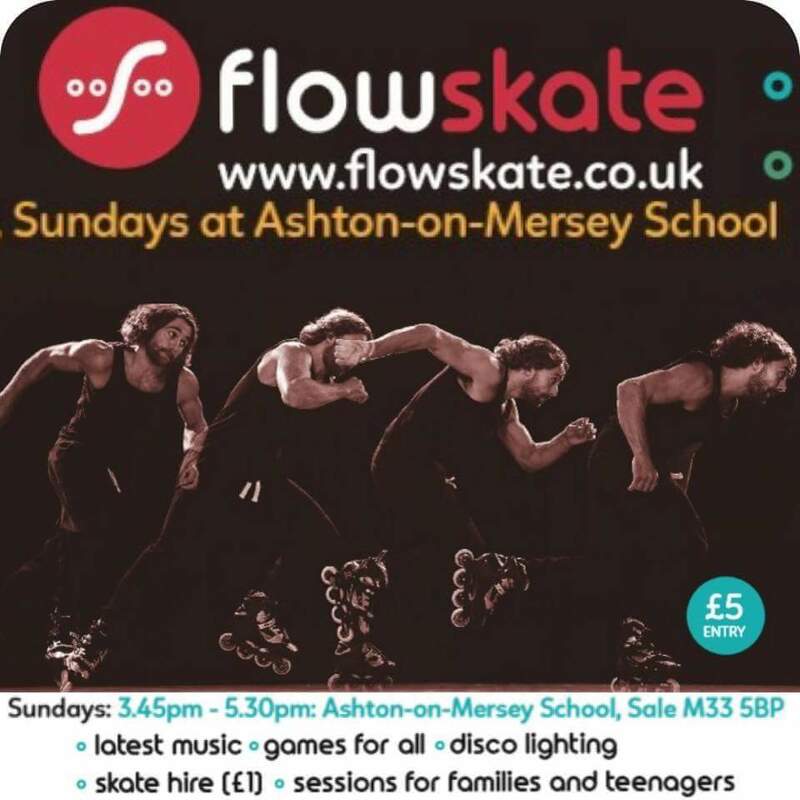 We also offer Flowskate Disco Parties. Follow link for more information.